generation of entrepreneurs across the Mallee region. 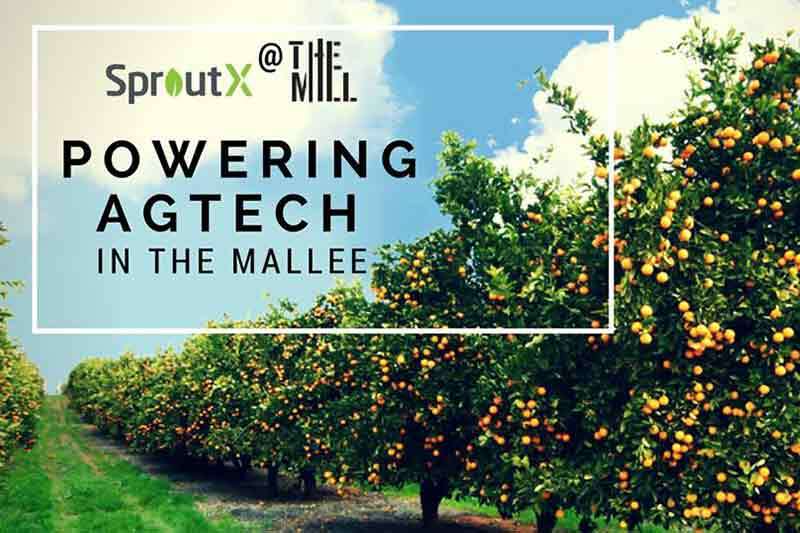 the first government in Australia to support the SproutX initiative. agriculture with a competitive advantage on a global scale. contributed A$1 million to establish SproutX in 2016.
support programs,” said Minister for Agriculture Jaala Pulford. opportunities to pitch their innovations to potential investors. automation (IOT) devices to the agriculture sector. interventions more accurate and cheap, and supports market access efforts. impact waterways leading to The Great Barrier Reef. Agri-Tech Innovation Summit in San Francisco.